We know it hasn't been the best parking lot for the last couple of months and we want you to come back to the library. 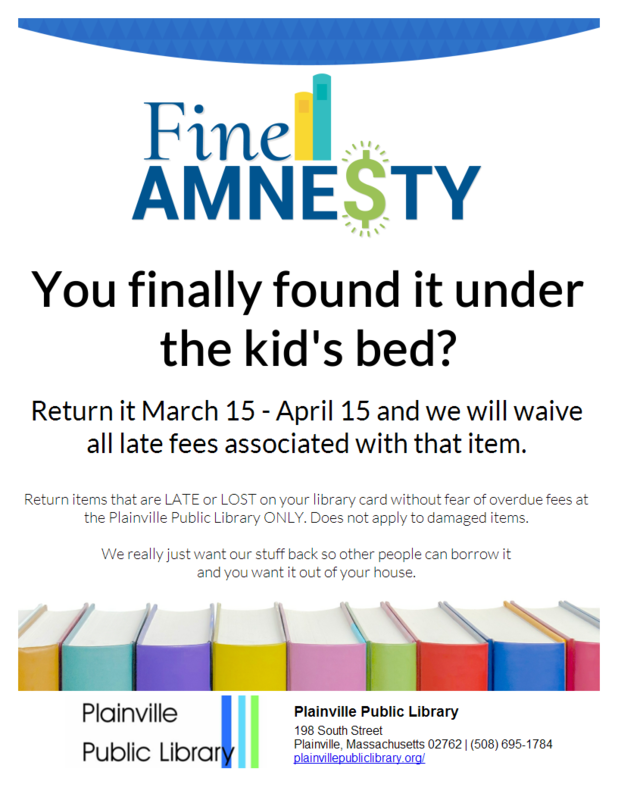 Return your late or lost library items between March 15 and April 15, 2019 ONLY to the Plainville Public Library and we will waive all fines associated with that item. This does not apply to damaged items. The new buildings might just be opened by then and we hope you stop by to check out the new Municipal Complex. And really, we just want our stuff back so other people can borrow it - and you want it out of your house.